Back in 1977, when Foreigner released their first album, I think it was on my turntable more than it wasn’t. Over the years I’ve seen and photographed the band many times and they never disappoint. Today, you might say the band is at best, a great cover band as there is only one original member who only tours with them for a handful of shows, but none the less the band sounds great and still puts on a great show. And honestly, the members of Foreigner are well-established rock musicians in their own right, they just happened to have all come together to fill up the ranks in the band. 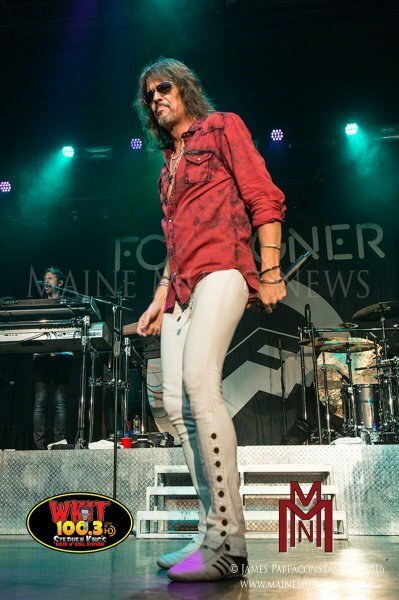 With ex-Hurricane vocalist Kelly Hansen at the helm, Foreigner’s stage show is very energetic. Often times he’s racing from one end of the stage to the other, up and down the platforms, and really connecting well with the audience. And that’s just his physical performance. His voice is incredible and very well-suited for the music he is singing. Not to be out done in the energy department, ex-Dokken bassist Jeff Pilson does his own amount of running around. Jeff has always been one of my favorite bassists to photograph as he always plays with the audience and for the cameras. Like Kelly, Jeff’s voice is a force to be reckoned with and could easily be a lead singer himself. 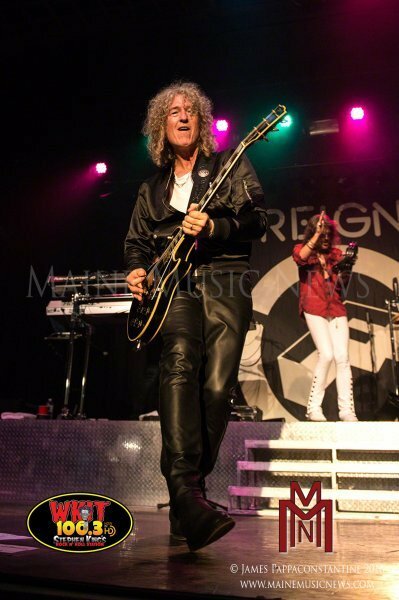 Ex-Rod Stewart guitarist Bruce Watson joined the band in 2011 and has been keeping the riffs alive. Bruce is a fun guy to photograph and also seems to like to ham it up for photographers, which we love. From the first time I saw him to this last time, all I can think of is Ian Hunter, with his long blonde curly hair. Ex-Aerosmith touring member, Thom Gimbel has been a great asset to the band since he was added officially to the roster in 1995. Thom wears a lot of hats in the band, playing saxophone, flute, keyboards, guitar, and backing vocals. Hiding in the back of the stage up on the risers and nearly impossible to photograph is the illusive Michael Bluestein on keyboards. 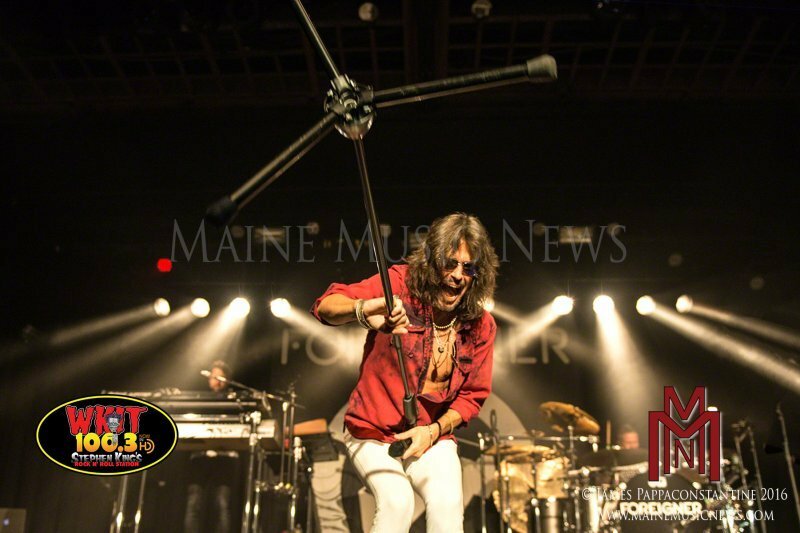 Michael is a really talented guy and his keys are an important part to the music that is Foreigner. Ex-Steve Vai drummer Chris Frazier sets the tempo and keeps it all moving, this guy puts everything into the show and sparing nothing. He may be the last mentioned (Because, well he’s the drummer. Insert drummer jokes here) but he is definitely not considered least. This guy is an incredible talent. In case you are wondering, the bands co-founder and guitar player Mick Jones only tours with the band about half the time and due to his health issues and his age he doesn’t typically play more than half the set. He was not present for this show. The set is always packed with hits, so much so that I sometimes wish they would put something obscure out of the archives, but the audience wants to hear the hits, and these guys deliver them one after another. The show was sold out well in advance and seats filled up quickly. There was a young kid on guitar who opened the show, and his short set was met with mixed reactions from the crowd. It seemed the young girls in the audience enjoyed him, but due either to the lack of energy in his songs or the heat that engulfs the Casino Ballroom in the summer time, I didn’t think much of him, and wanted the headliners to take the stage. When Foreigner did hit the stage the audience erupted, and it was on. I scrambled to the middle aisle where I crouched down between the seated crowd and an overzealous photographer from Peru, who kept jumping up every-time a band member would come close, finger in the air yelling PERU!! PERU!! I must say that I never really understand why rock bands do seated shows. Is it because they can charge a premium price for the better seats? It just seems people at rock shows want to stand up and get into the music, and not be confined to a chair. My editor, however, believes it is because the target age of the audience is getting little older and would like a place to sit down. She’s probably correct. During the three song encore the band was joined by a local school choir to sing, “I Want to Know What Love Is.” The choir had been selling CD’s with a raffle ticket for a signed guitar, and all the proceeds go to supply musical instruments to children who may not be able to afford them in the school systems. The choir did a great job and one member chosen by bassist Jeff Pilson got to strum his bass for a few measures. This is always a big hit with the crowd. 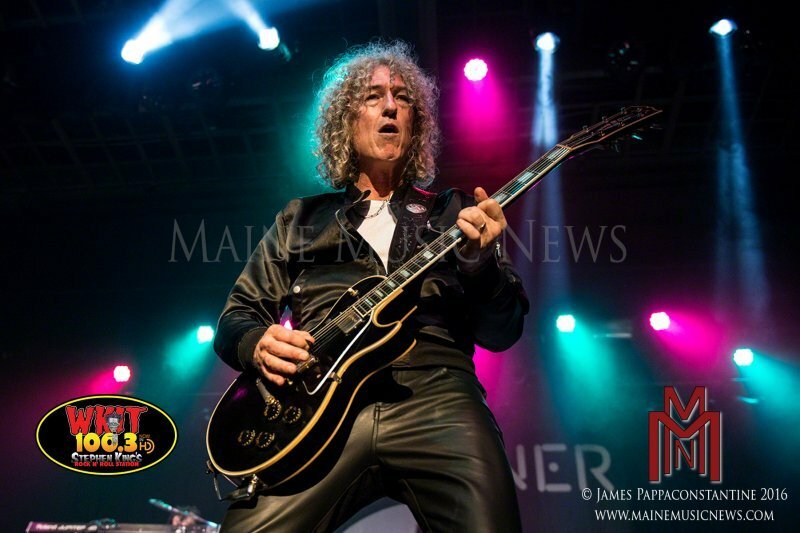 If you love classic rock and the music of Foreigner you should really check this show out, but get your tickets early as it will sell out again and again.